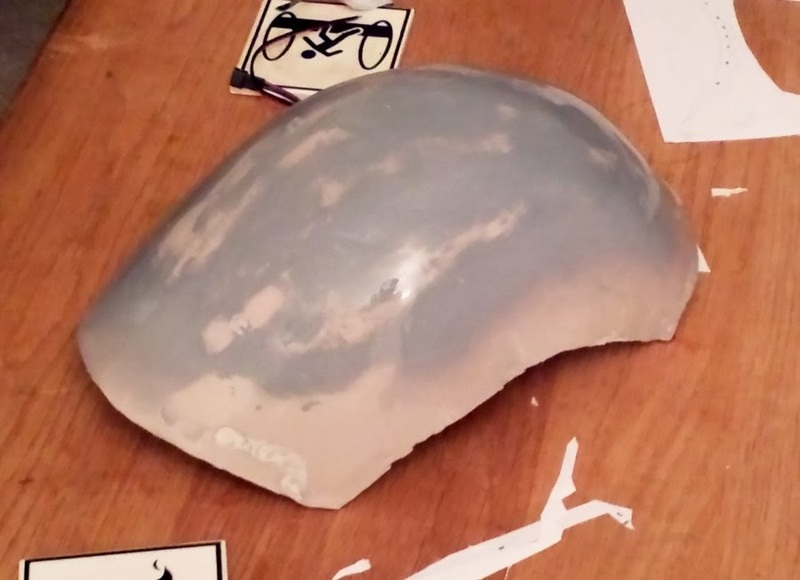 Previously, I covered the process of shaping the helmets and getting them ready for painting. In doing that I removed the opaque visors, since they would be replaced with clear copies. The goal was to mold clear plexiglass on to each visor so that I could control the shape of each precisely. Once I had the clear replacements, I could shade them black. 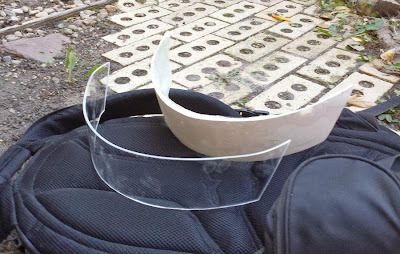 After estimating how much plexiglass would be needed for each visor, I collected my materials. The basic procedure is to heat up the plexiglass until it is malleable, then while it is warm, let it 'slump' on to the opaque visors. 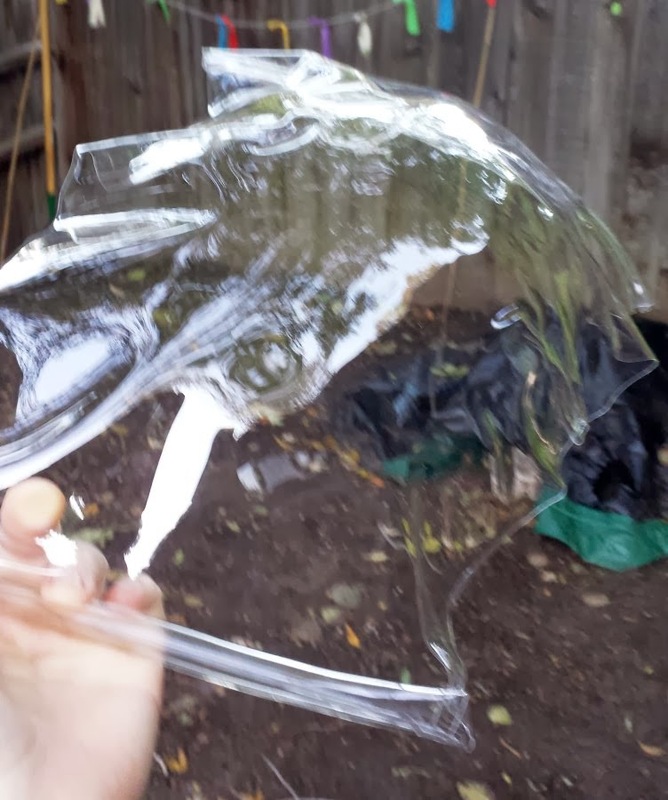 As the plexiglass cools back down, it hardens into the desired shape. The felt is to keep the plexiglass from sticking to anything. 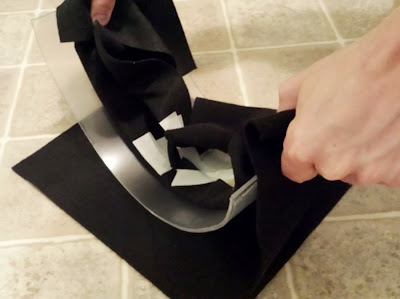 I had seen many people on the internet using vacuum formers to aide in the slumping process, but I had a hunch that it wasn't necessary. I was wrong, but more on that later. First I did the simple visor. I then carefully cut off the excess plexiglass from the edges, then sanded where I had cut for a smooth edge. 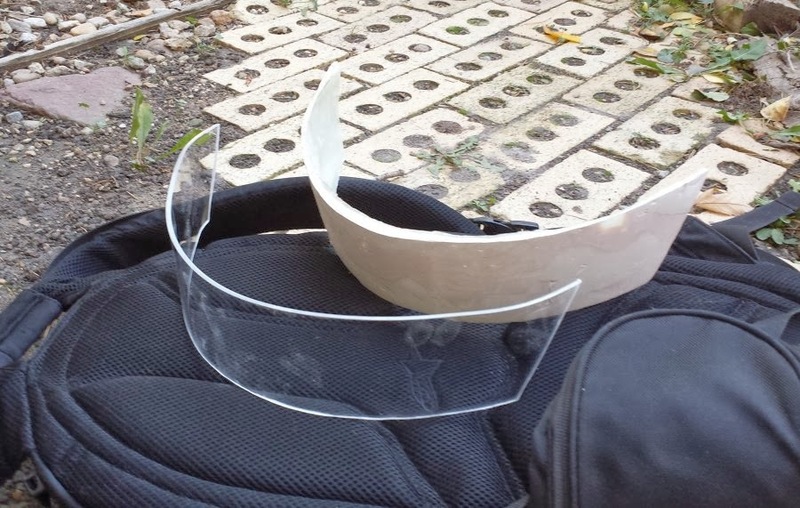 Since this visor was easy enough to make, I went ahead and tried making the more curved visor with the same method. 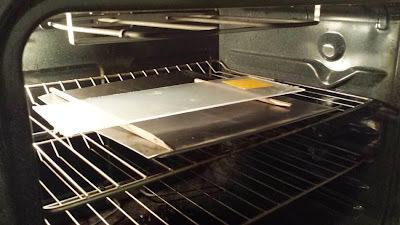 I stuck a sheet of plexiglass in the oven, and prepared to mold it by hand. It failed. The plexiglass was too thick and would not bend in two directions without folding around the edges. I decided the plexiglass itself was the issue, so I bought a few sheets of 0.06" and 0.02" thick PETG. 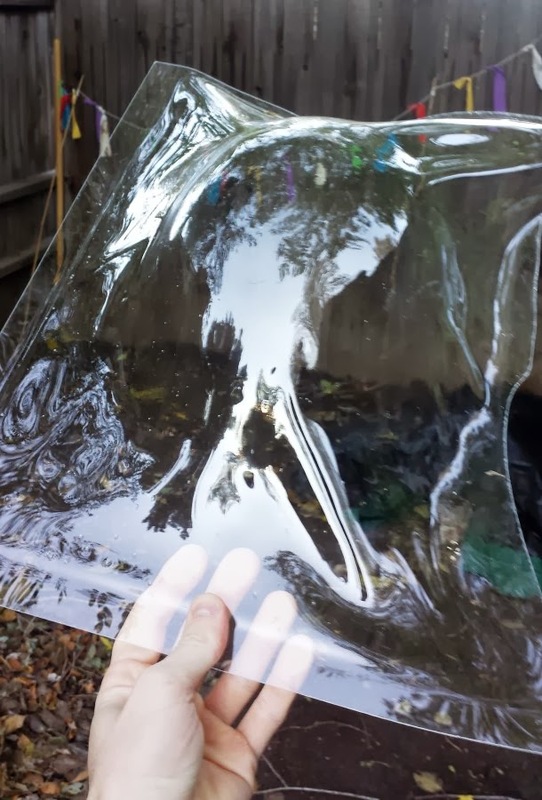 This plastic becomes malleable at a lower temperature, and I figured the thinness would also help. After heating up the oven, I followed the same procedure as before. My process still wasn't working, but I could see I was on the right track. Kind of. I decided it was time to use a vacuum former for help. 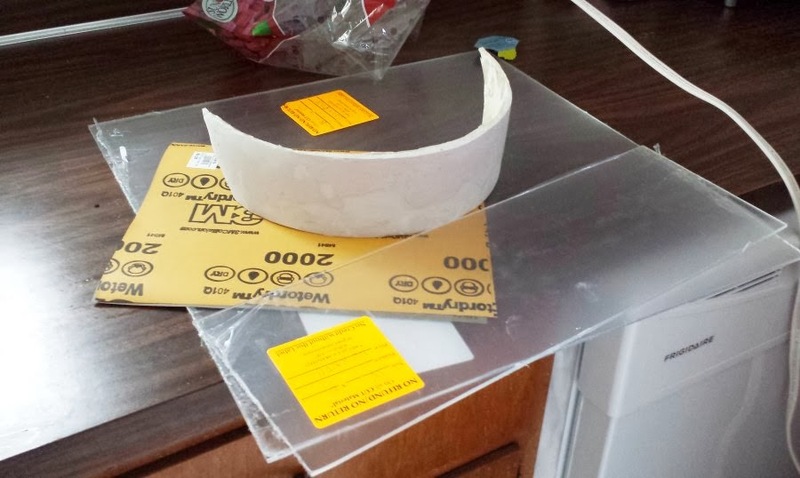 Since I was running out of time on the whole helmet project, I decided to first look at local plastic companies that do vacuum forming. I contacted one about my project, and they said both that it would cost nearly $2000 to do it, and that they simply would not attempt it. This is not specifying a type of plastic or tolerance level, just the job of vacuum forming anything around our model visor. With few options left, I decided to build a vacuum former as fast as possible and for as cheap as possible. 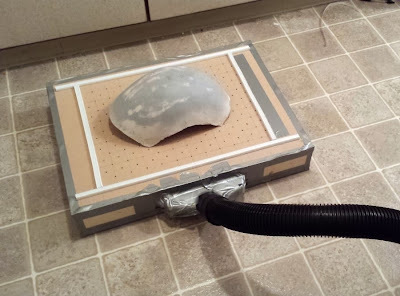 If you search "diy vacuum former" you can find quite a few good examples of cheap vacuum formers that can be made with scrap wood and a shop vac. After glancing through a few instructables on the subject, I went to work. 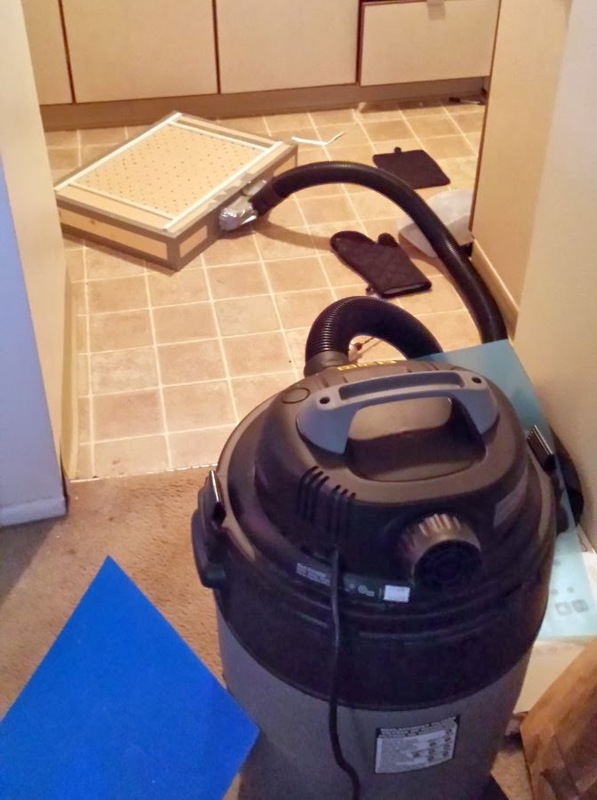 I was lucky enough to be able to borrow a nice 6hp shop vac through some friends, so that would keep the cost down. 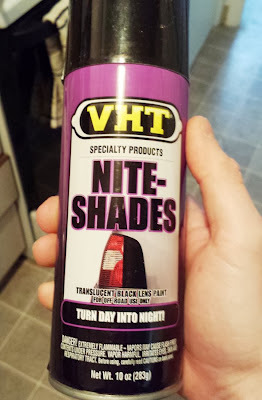 I was able to get the rest of the materials at Home Depot for around $25. The basic idea behind a vacuum former is to have a flat surface that creates a uniform vacuum to pull a piece of heated plastic down. The model you want replicated sits on the vacuum surface and holds the plastic up away from the bottom. The plastic is heated so that it will bend and stretch around your model while being sucked down around it. 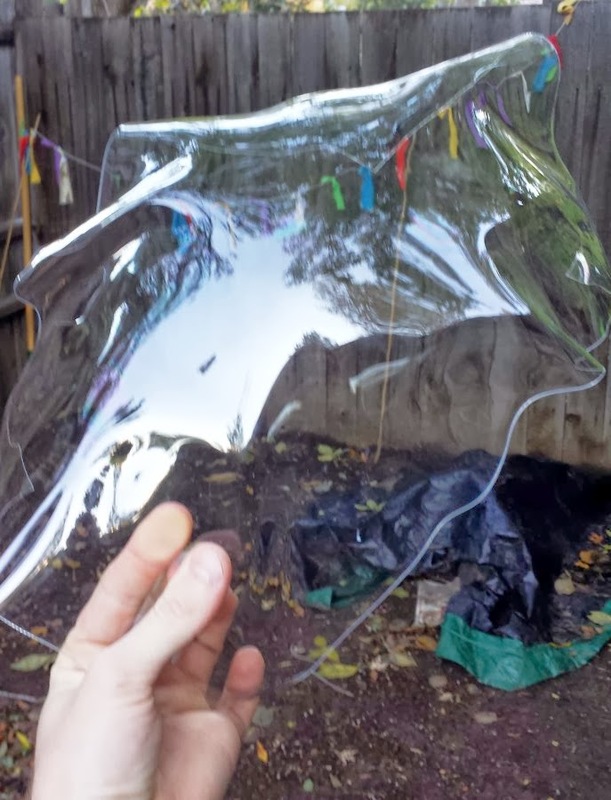 Once the plastic cools, it will retain the shape of the model. The vacuum former has two parts. The first is the frame which holds the plastic while it is being heated. The second is the vacuum box which supports the model and creates an even vacuum surface. 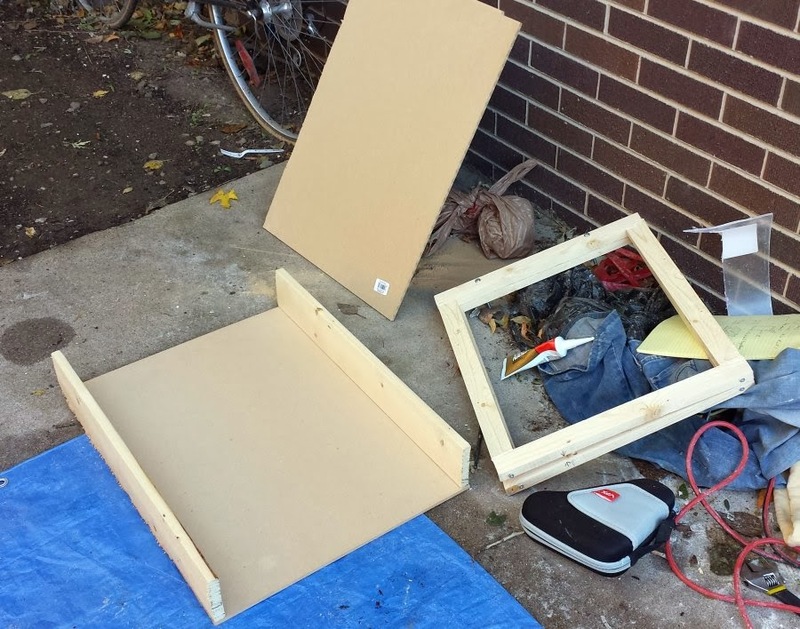 I built the frame out of some 1x2 wood pieces and a couple nuts and bolts to tighten the two sides around the plastic. I built the vacuum box out of MDF, 1x4 pieces, and some rubber weather strips. The edges of the box were sealed with duct tape. I drilled around 200 1/8" diameter holes in the top of the box on a rough grid I traced out and taped the shop vac hose to a hole I cut in the side of the box. The rubber strips had an adhesive backing, so I just stuck them right where the frame would sit. With the vacuum former ready to go, I loaded a new sheet of plexiglass into the frame and put the frame in the oven. This time I got a little fancier with my baking and did 8 minutes at 300F and finished with about 3 minutes of broiling. The plastic was sagging by about 3" when I took it out and had just started to create tiny bubbles in a few places. With the shop vac running, I quickly placed the frame over the vacuum box and pressed down to ensure a nice seal between box and frame. Yet another failure. At this point I was seriously worried for the helmets. Without a visor, the gold helmet was pretty useless. I took some time to think through how this attempt had failed, and luckily saw a reason to try again. A big issue for this attempt was that the plexiglass had fallen free of the frame in one corner during the heating process. I found this was because the plexiglass has slipped to one side while tightening the frame, so it was not being clamped down on that corner at all. This could be fixed by being more careful during the set-up. I also added some cardboard in-between the frame and the plexiglass in order to get a better seal. I wondered if I had drilled enough holes, so I computed the collective cross-section of every hole together and compared it to the cross-section of the shop vac hose. The shop vac hose was about 5 square inches, while my holes were only adding up to around 2. I went through and widened most of the holes in the top of the vacuum box to bring that figure much closer to the hose area. With these modifications done, I set up for another attempt. Luckily the plexiglass sheets were only costing me about $7 a piece and I could get them cut to the right size at my local hardware store. It finally worked. Well, mostly. 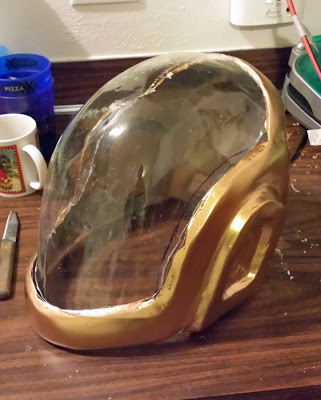 Under the pressure of the vacuum, the model visor actually bent out of shape, causing the bottom of the visor to become wider than I wanted. This was surprising because the model was cured Bondo reinforced with thick fiberglass. 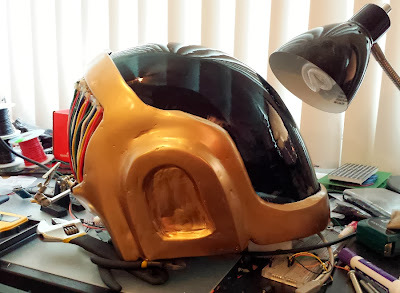 I decided this visor would work well enough with some bending, and I was too sick of molding plastic to try again. I cut out the visor and prepared it for tinting. Both if the visors were tinted black using Nite-Shades. This is a spray intended for vehicle lights to make them look black when there is no light inside shining out. I tested the spray on the many failed visor attempts to make sure I wouldn't accidentally ruin the visors I had finally made. 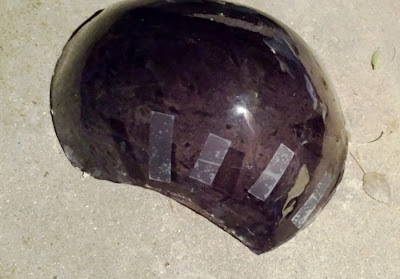 Once both visors had been tinted, I began attaching them to the helmets. The second visor did not fair so well. After a day or two the plexiglass became brittle and cracked down the side. I carefully glued it back together with special plexiglass adhesive, but once I tried bending it again, another crack formed. The visor was doomed. After 6 failed attempts at making a visor for this helmet, I was pretty let down. Luckily, after 6 failed attempts I was getting better at making them. I ordered a sheet of PETG to make a new one, with the intention of vacuum forming it just like the plexiglass. I'll stop here now that I've covered my process for making and tinting both visors, even though the second one is not 100% done. I'll try to update with a picture or two when it has been fixed. UPDATE: It seems like 0.03" PETG is the way to go. I've formed a new visor that is reasonably strong and fairly flexible. 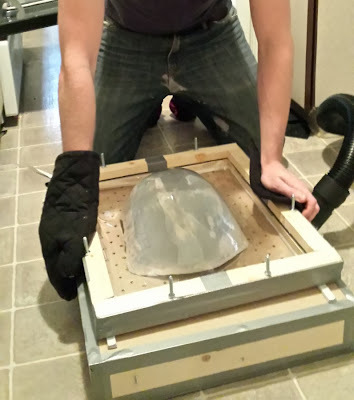 The material was much easier to heat up (~300F for ~3 mins) and actually allowed me to redo the vacuum forming process twice. On the first attempt the PETG didn't get pulled down as well as the plexiglass did, probably due to human error in placing the frame on to the vacuum box. The sheet cooled into an almost-visor shape, but I put it back in the oven and watched the plastic return almost to it's original shape. This was a life-saver. I reinforced the fiberglass/Bondo visor mold this time to prevent the bottom from bending out, but the visor was still slightly misshapen. Luckily the formed PETG is flexible and allows me to bend it back into place. 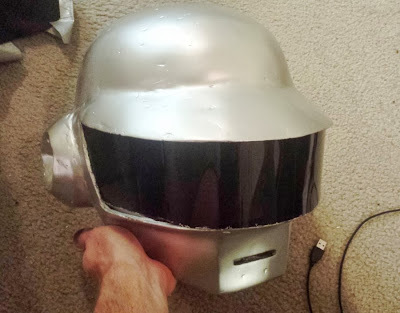 Next step is to attach lights to the visor, then glue the visor on to the helmet.